We constantly strive to innovate through technology, whether it’s for increased performance, stability, growth or just stretch the mind for the good of mankind. We’ve spent years performing menial tasks without really thinking about the endless hours wasted or just accepting that it’s part of life and the ritual part of our daily routine… get up out of bed, get showered, eat breakfast, go to work etc, you get the point! That is, until something comes along to challenge the status quo. We appreciate that innovation can help streamline or converge such tasks, [see the brilliant antics of Wallace & Gromit! ], however some will always debate the resultant impact it may have on our society, or just whether some new innovation can practically be a part of our daily lives. 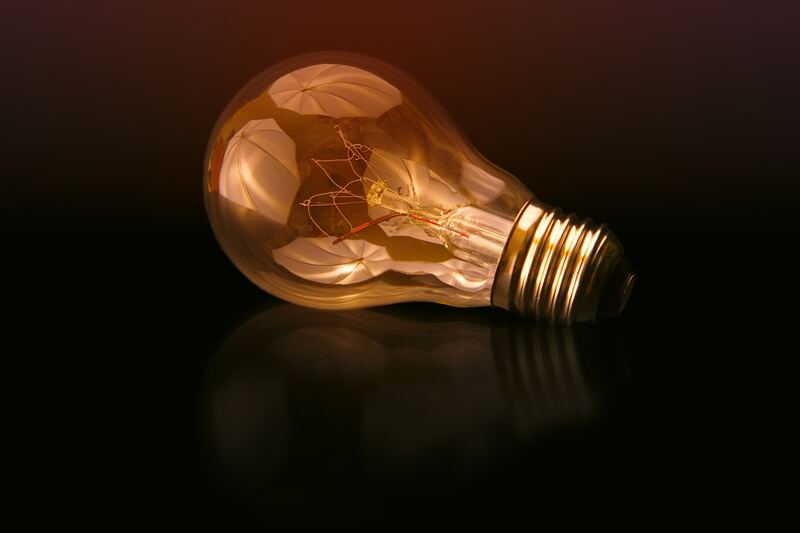 Innovation is at the heart of all businesses out there… that light bulb moment! Which brings me on to my point… the simplicity of the light bulb, to light up your rooms within your house, your office environment and the streets on which we walk. Switch it on, switch it off. Yet look at this in more detail, and there’s a dark art (pardon the pun) to lighting detail. Positioning, Lumens of light output, Kelvin colour scale (white or warm light to most out there), dimmable, or non-dimmable. This is before the accountants or electrical teams start calculating the power requirements and starting to shave the specification of lumens to fit meet the budget and ROI requirements. In 1802, Humphry Davy invented the first electric light, and Thomas Alva Edison is credited with the first commercially viable incandescent light in 1879. These were expensive to produce and run, and had a short life span, though fulfilled their purpose of giving us light better than anything that went before it. As you would expect, lighting technologies have evolved through fluorescent lamps, compact fluorescent lights (CFL), Halogen and finally to LED (Light-emitted diode) in 1995. Over previous years I’m sure we have all obsessed over what energy rating bulb we should insert into our lighting fixture to balance brightness, appearance, life expectancy and cost. Halogen was leading the charge for a while, however in recent years there has been a dramatic paradigm shift as manufactures are producing LED on a much larger scale and at lower cost than ever before – therefore becoming the default choice for all. For property developers and fit-out companies in-particular, LED technology has transformed lighting by providing an ergonomically and commercially pleasing product..
Whilst not fully qualified to predict the next innovation, I can see how further adoption of today’s evolving lighting technologies presents huge opportunity for further changing the way we live and work. IoT (Internet of Things) – the connection of physical devices (typically via the internet), vehicles, and home appliances has led to an explosion in the things we can do with technology, lighting is no exception. SaaS (Software-as-a-Service) – a means of accessing your software in an alternative manner other than a device-hosted install, normally hosted in the cloud, such examples being Google Apps, Office 365, Sage One etc. DaaS, PaaS & IaaS (Desktop, Platform & Infrastructure) – if unfamiliar, these all refer to the delivery of a product in the form of a service (something hosted, something managed, with predictable revenue costs…). So, one to add to the list is LaaS (Light-as-a-Service). Lighting control systems in the past have been focused on the process of lights on or off, based on the reaction to a switch, a sensor (often movement) or a timing schedule. Where LaaS differs is its technology that is now fully integrated into the building by utilising the existing data network, which can be manipulated and controlled not just from the traditional sensor approach but, more importantly, via software. This enables intelligent decision-making, condition-based models, providing opportunities well beyond the ambience within a room. We can now implement LaaS technologies into healthcare & education environments to positively impact wellbeing. This can be to control lighting in such a way to match the needs of human biological cycles or improve human behaviour, such as physical growth and development, attendance, alertness, and therefore even indirectly aiding academic achievement. Retail, call centre, and office environments can take advantage of limitless software triggered alerts which offer attention to lighted areas or signage warnings. Medical Recovery – Hospitals no longer require dedicated treatment rooms to be fitted out with specific lighting to aid recovery, as LaaS allows any treatment room to be set up according to the requirements at any given time. Retail – Just like we know that smells have an impact on shoppers, lighting can also be used to provide the best retail experience, and can be changed as products are introduced and moved around the store. Cost Control – the flexibility offered through new lighting technologies was once cost prohibitive, but such costs are falling rapidly. Combined with the ability to monitor and control the lighting to determine running costs, and the fall in implementation as these technologies no longer require traditional electrical works, means that they are now starting to offer measurable benefits to organisations of all types. LaaS technology has a direct relationship with IoT, such lighting units are powered by the same [PoE – Power over Ethernet] switch architecture that drives our data, Wi-Fi and voice solutions; the associated software helps transform the commercial impact of lighting service costs and allows inefficiencies to be easily identified and remediated. PoE lighting does not have the same Electrical and therefore regulatory requirements of traditional lighting (it is much lower voltage), and as it is controlled and powered by the data network, it has the potential to sit under the ownership of IT, opening many more opportunities for the property developers and designers, architects and of course the clients and their users who will be the ultimate beneficiaries of this change. I have been fortunate enough to be involved in an early UK adoption scheme for ‘Connected Lighting’ which fundamentally utilises LiFi to innovate. This now turns the tables of the use of a smart light bulb – special control systems turn the LED lights on and off in milliseconds (not seen by the human eye), transporting data across the light spectrum. A receiver is able to reverse the procedure and process the signal back into normal data packets for use by traditional technologies. Does it work? – yes! – I have seen HD video streaming from a light unit to a laptop with a receiver connected to it! You can even now buy the technology. Aviation & Health – traditional wireless data systems can cause potential interference with sensitive control systems (e.g. operating theatres) – LiFi does not. Security – light is directional and doesn’t pass through walls (obviously), thus could be applicable to highly secure banking / defence / high security situations where data needs to be heavily controlled and protected. Smart Cities – pass data through tradition street lighting infrastructure to support the wider smart (IoT) community. Have a look at the great work the guys at pureLiFi have been doing to see how quickly this is evolving. In time, this could all be converged onto our personal devices and into our normal domestic infrastructure – imagine no longer having to worry about the positioning of your wireless access points in your home or office! The term of “Beam me up, Scotty” may not be far away! 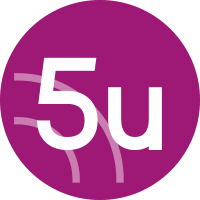 If you wish to talk about this more, contact me or any of the 5u team.